Prof James Chin is the Director of the Asia Institute, University of Tasmania. He is an expert on the governance issues in Southeast Asia, especially Malaysia and Singapore. He also works on island states in the South Pacific. His views are regularly sought by major news agencies around the world, including The New York Times, The Financial Times, BBC World TV, CNBC and Bloomberg. Before joining The University of Tasmania, James was the founding head of the School of Arts And Social Sciences (SASS), Monash University, Malaysia campus. 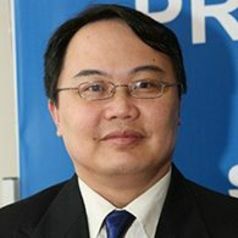 During his time in Monash Malaysia, he built SASS into the leading social science school in Malaysia. He has a strong track record of media and community engagement. James works on contemporary politics and elections in Malaysia and Singapore, and Southeast Asia generally. He also works on domestic politics of Papua New Guinea and Fiji. His work deals mainly with regime change and maintenance in societies where there are omnipresent threats of ethnic and religious conflicts.